What’s new about Windows Xbox 8? Main advantages when compared with the previous Windows Xbox version? I wanted to know more about Windows Xbox 8? How much will it cost? Is it like double the amount than the previous? What is the main advantages when compared with the previous Windows Xbox version? Re: What’s new about Windows Xbox 8? Main advantages when compared with the previous Windows Xbox version? Xbox 8 according to the rumors in the technical market could be name of the new X-box whose previous version was named as x-box 360. 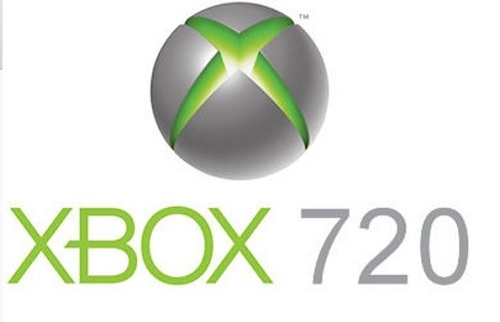 Earlier it was said that it name was going to be X-box 720 just to maintain the naming such as play station 2 and then play station 3. Microsoft is planning to name the next version of the console as X-box 8 to promote its latest os version windows 8. It is also believed that the new X-box may be able to run windows 8 on it. 1.More advanced Kinect with better sensors. 2.Simultaneous 4-person play so everyone can enjoy the game together. 3.Props so you can feel like you're in the game or shooting the rifle. My dear,sorry to say but we can't use it till.its not be came in market and its just a annousment from microsoftwere tech so dear am don't want to tell you anything wrong that will harm your pc when am use it feel its exp than am msg you on your profile am go tommaro to the market for this window copy. 1) Windows 8 support explains that the Xbox Live feature will enable users to access the friends list, recently played games, avatar settings and mostly all the other features in Xbox 360. 2) Pre installed games will include the Xbox Live integration in the OS and all the features can be accessed in the Xbox Live app. The mentionable part of this new integration is the Xbox Live Companion app. Windows 8 support says that the companion allows users to launch the games from the PC and it can also stream the video into the Xbox 360. 3) Microsoft is planning to place Xbox and Windows 8 in such a way that it can compete with Apple’s AirPlay feature. Hence, Microsoft expects to offer audio streaming feature in Xbox apps soon. 4) Music and video apps:Within the operating system, Music and Video app is the default application for media files. On a desktop model, when the audio or video files are launched in Consumer Preview, the Metro interface pitches in and handles the playback. Whether working on a conventional desktop or on a Metro UI, snapping to the side allows playing of media files without interrupting the already open applications. The Xbox is the basic Metro player in Windows 8, equivalent of Windows Media Player in other operating systems. 5) Xbox Loop also have some kind of backwards compatibility option for older Xbox 360 games on the new Xbox. Also, Microsoft is working on a refined version of Xbox LIVE under the codename "Infinity".